We're excited to announce that Presidential candidate Governor O'Malley will join us at the National Immigrant Integration Conference (NIIC) to address our community and help us jumpstart a vision for immigrant integration that will help define the future of America. We have invited all 2016 presidential candidates from both the Democratic and Republican parties to address the largest immigrant integration gathering in the country and Gov. O'Malley is the first to accept our invitation. We're asking candidates to discuss and respond to the New American Dreams Platform which seeks to define from an immigrant perspective what it means to be a successful nation of immigrants. The platform will be launched at NIIC and aims to broaden and deepen the current political discourse about immigration and, over the long run, ensure that all candidates be genuinely, robustly pro-immigrant. You agree? Then register now for NIIC 2015 – New American Dreams: Advancing Opportunity, Equality & Justice – which runs from December 13-15, 2015, in Brooklyn, New York. Check out the complete NIIC schedule here. And prepare for more exciting announcements in the coming days! We believe the NIIC in New York will help influence major policy, cultural, political, and business trends across the country, and we look forward to all candidates for our nation's highest office following Gov. 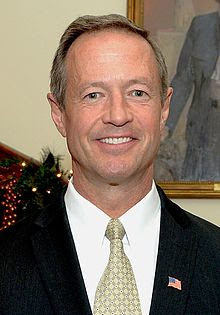 O'Malley's lead to find solutions to some of the key integration issues facing America's immigrant communities. Join us!